Business Engagement. Businesses are encouraged to consider how they can integrate skills scores into their talent attraction strategies and businesses are asked to consider job-seekers based upon the appropriate skills scores (i.e. in lieu of simple education or experience requirements). Successful skills-based hiring and pipeline building strategies require engagement from the business community. 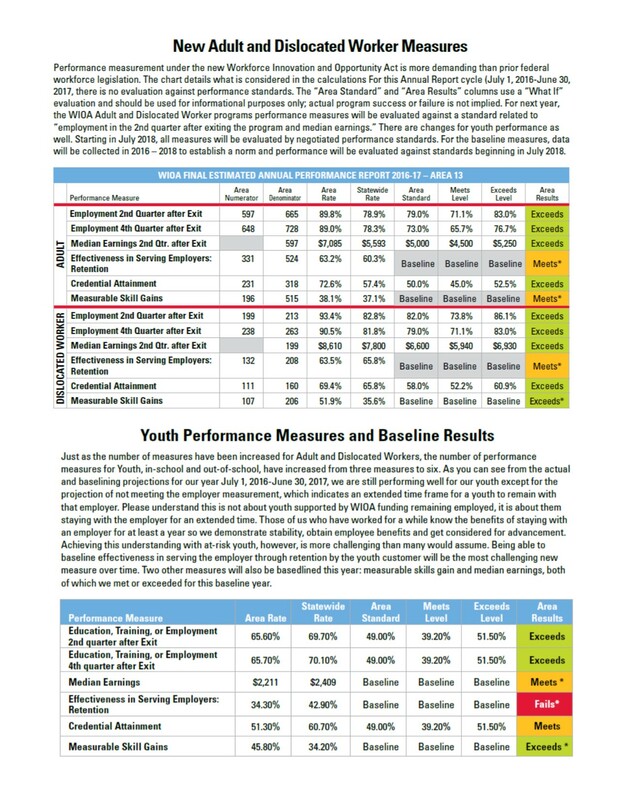 In addition to using skills-based hiring to increase their applicant pool, businesses in Ohio’s skills-based communities are encouraged to consider skill assessments to accelerate internal pipeline development by advancing entry-level workers based upon skills scores. Upskilling is readily available. Skills-based communities in Ohio strive to make upskilling easily accessible and available throughout their community. Communities adopting a skills-based approach to talent development should assure that anyone taking skills assessments has access to resources to improve their skill scores. These resources are called upskilling resources and may include self-directed, online tools or classroom based instruction through adult education partners. Network of assessment sites. Skills-based communities in Ohio work to have a network of assessment sites that are easily accessible and available to individuals. Skills-based approaches to talent acquisition and development require that skill assessments are easily available to job-seekers and incumbent workers through education and training institutions, community organizations, Ohio Means Jobs centers, and other partners. Ideally, assessments are available to job-seekers at little or no cost to the job-seekers. Ohio Means Jobs. Ohio’s skills-based communities partner with their local Ohio Means Jobs Center and use the ohiomeansjobs.com platform for job-postings, job-searches, and matching job-seekers and businesses. In Ohio, the recommended scores for three skill assessments from ACT WorkKeys® assessments are automatically available on ohiomeansjobs.com and businesses can search thousands of resumes based upon ACT WorkKeys® skill scores. Likewise, any job-seeker, incumbent worker, or student can take practice tests and search for jobs based upon recommended scores.